Las Gaviotas for house rentals near Rosarito Beach Baja. 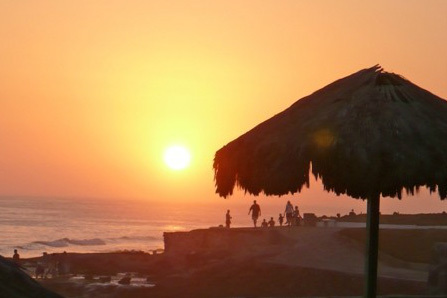 A World-Class Travel Destination and Baja rental homes you’ll love! It’s easy to get to, very affordable, and, once you’re here, the fun never stops! Some who flock to our private, gate-guarded development to rent a home in Baja, refer to it incorrectly as Los Gaviotas, but however you want to spell it, you’re sure to have fun. Come and laze in the sun on our private sandy beach or under a palapa. Tide pools beckon further exploration and the Las Gaviotas surfing is legendary! Baja California, long stretches of deserted beaches with cascading waves caressing the undulating coastline. Known as the “Jewel of Baja”, Las Gaviotas, is a secure, gorgeous, oceanfront resort located just 35 minutes south of the California-Mexico border, a little past Rosarito Beach. Interested in buying a house in Las Gaviotas? Click here to see our latest listings. You’ll need your U.S. passport or passport card to re-enter the USA.